1. 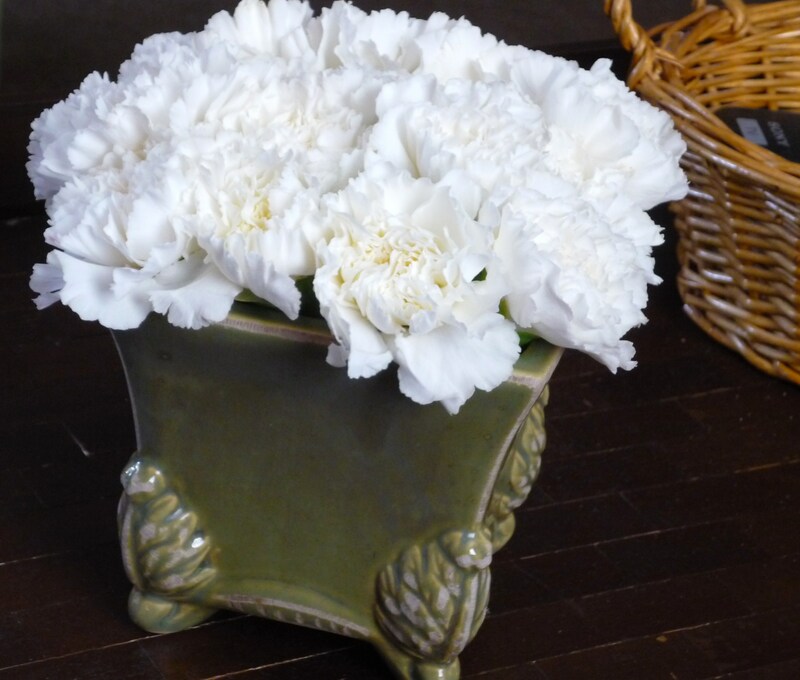 White Carnations nestled in my favourite planter. 2. 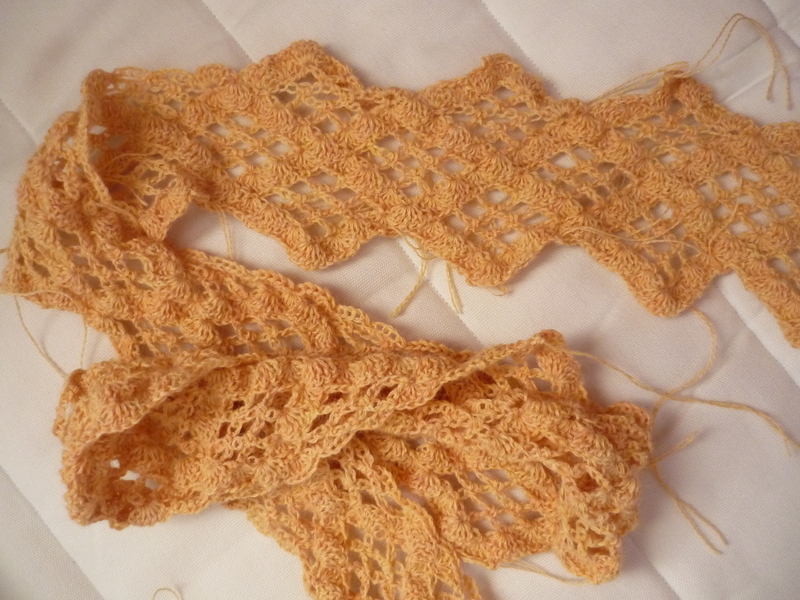 Misti Alapaca lace weight yarn in a sumptuous golden hue. This particular pattern is my adaptation of the Beachcomber Shawl pattern from the July/August 2010 issue of Crochet Today! My foundation chain is 4x longer than what the original pattern calls for. 3. 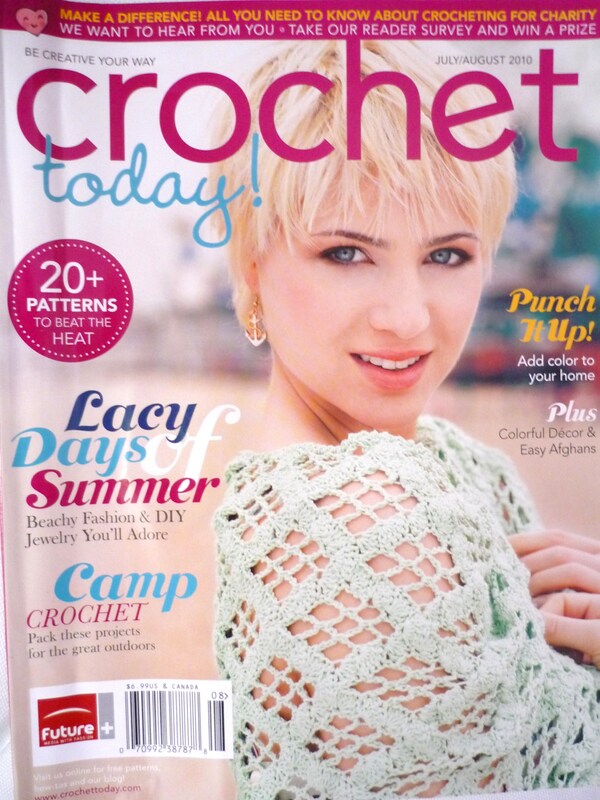 My boyfriend who thoughtfully gave me this edition of Crochet Today! as part of my birthday gift this year. This edition is chalk full of gorgeous patterns for women, children and your household. So many patterns to choose from and only two hands! I absolutely love the Lace On The Bias summer tank top. It is simply elegant, with spaghetti straps and easy fringe. Definitely on my list! I am also loving the Beautiful Basket worked in tapestry crochet. A bright, colourful accent for your home and a great way to showcase your crochet talents. 5. My new job at The Pantry Shelf. Wonderful decor, friendly staff and great food. What more could I ask for!? Entry filed under: craft, crochet. Tags: 5 Good Things, Beachcomber Shawl, Crochet Today!, Misti Alpaca, The Pantry Shelf.